My Pandora Film Score station is HEAVILY slanted towards the Pirates of the Caribbean soundtracks, and every time I listen to it I want to plan a Disney trip, so I finally did it. I bring you a Walt Disney World vacation plan inspired by adventure movie soundtracks. Stay at Caribbean Beach Resort, in the Pirate Story Rooms. Pirate rooms are awesome! They have two double beds with a pirate ship headboard, a pirate flag curtain to divide the bedroom from the vanity area (this is nice when you are sharing a room), night stands that look like barrels, an entertainment center that looks like a pile of crates, and lots of other pirate touches. The beds are AWESOME if you are fans of a firm mattress like we are. The pool at Caribbean Beach also has a Spanish fort and shipwreck theme. Blogging from a tablet while traveling did not go as planned. Frankly, the Blogger app is terrible. 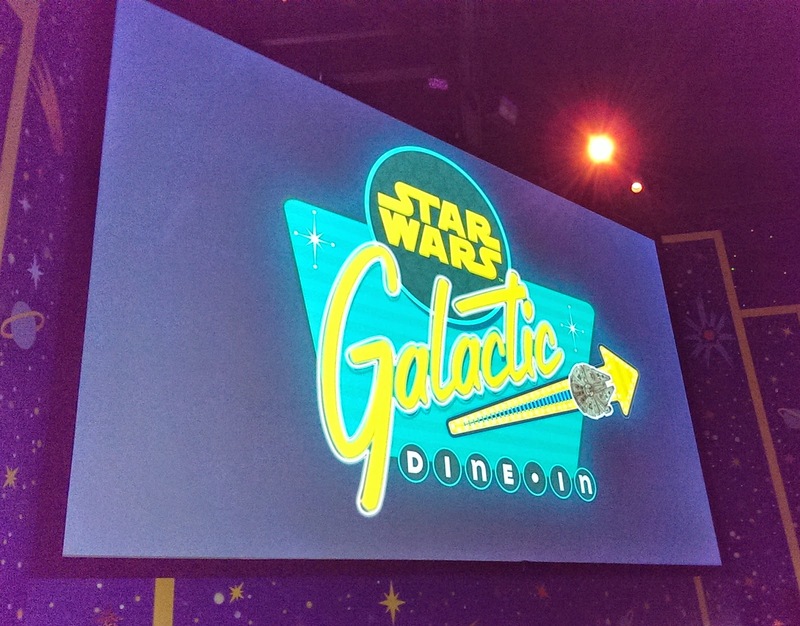 Now that I'm home, I've updated a post you may have seen a rough preview of last week: Galactic Breakfast at Hollywood Studios at Walt Disney World! One of my favorite things about planning Walt Disney World vacations is that just when you think you are "done" planning, something else comes along. This was announced a few weeks before our trip as an event for Star Wars Weekends and jammed the phone lines, but what most people didn't realize was that it started "May the Fourth" and is running EVERY DAY through Star Wars Weekends, even weekdays. So getting a reservation for May 5th was a cinch, even though I waited on hold for 45 minutes.